How are wantaway EPL stars faring? 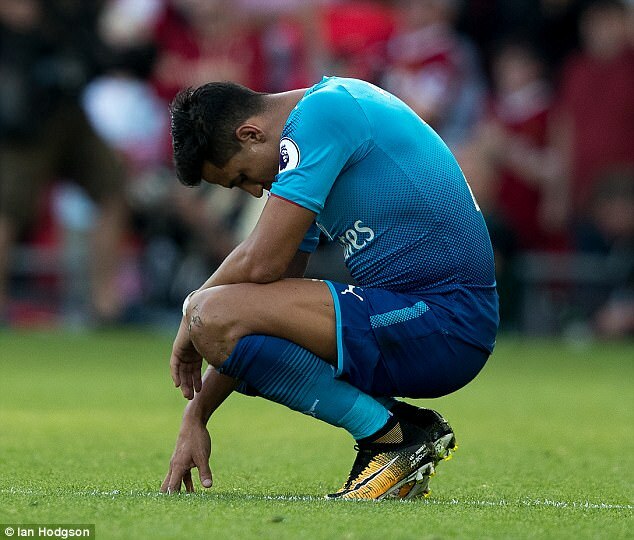 It was the summer the clubs fought back and big-name players like Philippe Coutinho, Alexis Sanchez and Virgil van Dijk were forced to stay no matter the amount of tears, tantrums and transfer requests. But how have those players coped with being unable to leave when the grass looked greener on the other side? Initially, the Brazilian kept quiet over strong Barcelona interest, believing that playing the nice guy would secure his move to the Nou Camp. But when Liverpool resisted, his cover was blown when he emailed a transfer request to director of football Michael Edwards. The amount of money Barca were throwing at the 25-year-old was large, although nobody seems sure how large. Figures of £120million were banded about – which would have placed him among the most expensive players of all-time – but others suggest the initial fee the highest offer was ‘only’ £80million with the rest in add-ons. Coutinho hasn’t hit the heights of last season though it seems to be a question of fitness rather than commitment. He’s played only five matches so far, missing the start of the season with a back complaint and the last three days with a muscular problem. On the plus side, he has scored a couple of goals and the fans don’t seem to have held his dalliance with Barca against him. 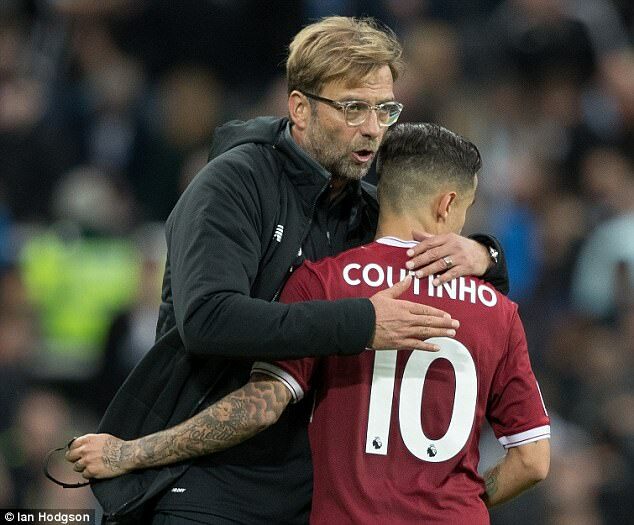 Luis Suarez moved on a year after Liverpool fought hard to keep him, you wouldn’t be surprised to see Coutinho a gonner next summer with Jurgen Klopp creating new match-winners in Mohamed Salah and Sadio Mane. Given Arsenal’s stance on Robin van Persie – selling him to rivals Manchester United rather than letting him run down his contract – it was a surprise they kept Sanchez when Manchester City offered a hefty £50million. At the moment, it looks like a strategic mistake. The Chilean hasn’t been the force of old and has only scored twice in 10 games for The Gunners this season. He was ineffectual against City at the weekend and has looked irritable and grumpy in other games. 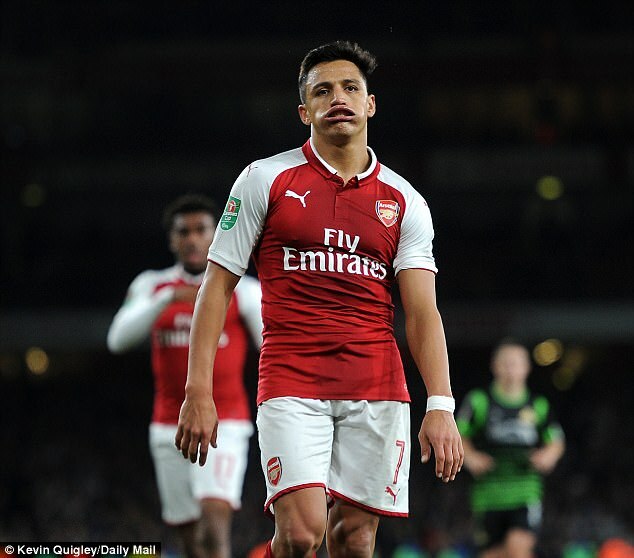 With Sanchez intransigent on signing a new contract, Arsenal have shifted their position and may now look to sell him in January, though they’ll only get half of the money on offer in the summer. Pep Guardiola, who managed Sanchez at Barcelona, is still a big fan but he can’t afford to sulk between now and Christmas or even City’s interest might wane. 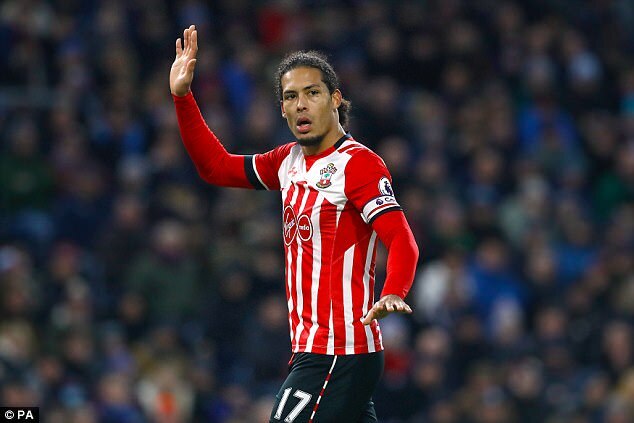 Southampton went radically against their reputation as a selling club when Virgil van Dijk was denied a dream £60million move to Liverpool. Liverpool had to move on this season without him, but it’s not been so easy for Van Dijk, who started the campaign training with The Saints reserves. To be fair to him and the club, a form of peace has broken out since, and Southampton have conceded only six goals in the six games Van Dijk has featured. However, it’s clear the 26-year-old hasn’t given up on joining Jurgen Klopp sooner rather than later. ‘Halfway through the season, maybe we can see what’s possible,’ he said only last month. Mahrez was so keen to leave Leicester, Algeria gave him time off international duty on transfer deadline day to try and secure a move. However, despite reported interest from Roma, nothing happened. It hasn’t affected the winger adversely though. He’s played in every Premier League game this season and though his form was patchy at the start, he has been excellent in the last two games under new manager Claude Puel, who knows him well from French football. Voted the PFA Player of the Year two seasons ago, Mahrez has scored three times in his last five games and the title-winning relationship with Jamie Vardy is clicking into gear again. If he carries on with this form, there will be clubs interested in January but he might not be so quick to walk out the exit door. Slightly different to the other cases in that Everton, or particularly their manager at the time Ronald Koeman, seemed as keen for him to leave as the midfielder did. That gave Barkley a stronger bargaining position in the final year of his contract. And when he decided he didn’t want to join Chelsea, he pulled the plug on the £25million deal at the last minute. The 23-year-old’s reputation has grown since then without kicking a ball as Everton have struggled badly while the player has been out with a hamstring injury. 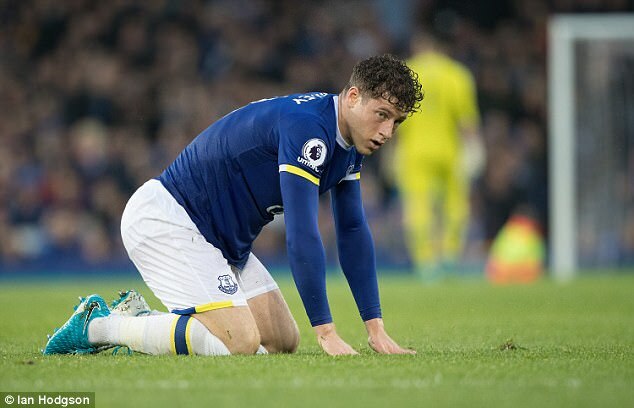 Tottenham are reported to want to bid for him in January and Everton, now that Koeman is out the door, seem keener to keep ‘one of their own’ though money remains a sticking point, Barkley is believed to want in excess of £100,000-a-week. Interim manager David Unsworth, a former Everton player, wants Barkley to stay. ‘He could be one of the all-time greats here,’ he said. The Northern Ireland international is regarded as a complete professional but when he looks at Manchester City this season, does he wish he’d rocked the boat a little bit more to get out of West Brom? Pep Guardiola made two bids of around £20million for the left-sided central defender but neither matched West Brom’s valuation. And in an era where every Premier League club gets millions from television, Tony Pulis wasn’t forced to sell. The 29-year-old has failed to halt Albion’s slide down the table and his club form doesn’t appear to match his international performances, which have helped take Northern Ireland to a World Cup play-off. The irony is he might have played for Manchester City in their next game against Leicester because Nicolas Otamendi is suspended and Vincent Kompany has been injured. Evans might not create the same interest in the future unless he gets to the World Cup and it turns out to be a useful shop window. 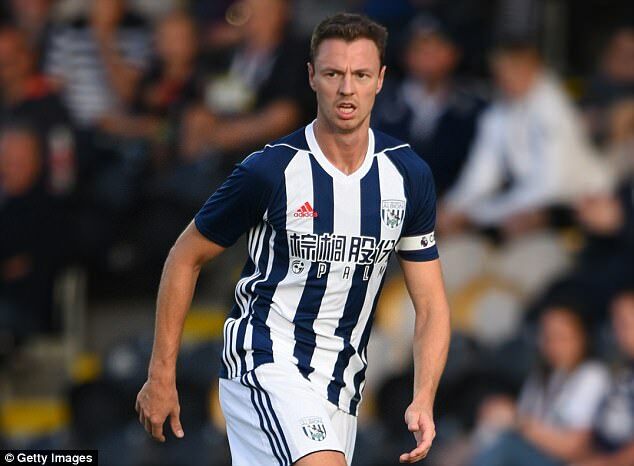 Does Jonny Evans wish he rocked the boat at West Brom harder to get to Manchester City?